This is rather an unashamedly sentimental novel. Set in the last decades of the 19th century and progressing into the early quarter of the 20th, Goodbye, Mr. Chips appears to be about the changing world. The end of the Victorian era that represented stability for many, to the uncertainties of the modern world. Chips is a schoolmaster at a public school called Brookfield. Brookfield isn't one of the top flight places like Eton or Harrow. It is a bit of a quiet backwater and the school itself doesn't, at least in the beginning have a particularly brilliant reputation. Chips teaches generations of children classics. Some of his more modernising colleagues plainly disapprove of his style and methods, but Chips hangs onto the past like a limpet. For him modernity is something that exists only to disturb the school. Change is bad, unless it is the gradual changing of the school years, the next generation of children entering the gates for the first time. His kindness and fairness win the hearts and minds of generations of children. Chips serves at the school until he is no longer capable, and then is allowed to hang around in his retirement, inviting boys over for tea and watching them play sports. Such behaviour was clearly viewed with less suspicion in the 1920s. But there are contradictions. Chips falls for a modern young lady. She's so modern, she reads Bernard Shaw and William Morris, rides a bicycle and speaks up against the punishment of the kids. It brings contradiction to the school, but Chips is won over by her. Unfortunately her presence would ruin the sentiment of the story line, so Hilton has her killed off early on. This allows more sentimentality to develop. The book has proved amazingly popular. Almost certainly because of the way it deals with war - as a brutal disruption to normal life. Though the lives of the majority of the non-privileged only occasionally make it into the pages. Once during the General Strike and once earlier, with the brief visit of some token poor people from Poplar in East London. To give Hilton his due, Chips' extreme fairness is used in both cases to give the upper-classes something to think about. Though in the case of the General Strike, Chips muses that it has been sorted out in a most English way, to the satisfaction of everyone concerned. In the world outside the rarefied air of a public school, the General Strike was of course merely sorted out to the satisfaction of the establishment, but what does Chips really care about that? Readable and amusing though the story is, it is fantasy. At one point Chips reflects that there is no bullying at Brookfield any more. Seems odd, given he's allowed to cane the children. If you like uncritical sentimentalist fantasy you'll probably like this. I'm told that R.F. Delderfield's To Serve Them All My Days, is a similar story, but has much more politics, social observation and reality in it. I'd suggest you go there for your public school stories first. 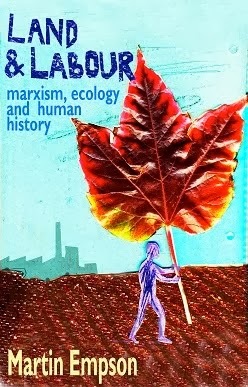 This is a useful and readable introduction to the Marxist understanding of history - or Historical Materialism as it is better know. Beginning with a brief explanation of how Marx and Engels understood history and then looking at how they engaged with this in their writing, Matt Perry shows that historical materialism is in no way as complex or difficult as some would argue. However to put these ideas across, Perry has to take up some of the wider arguments around history and Marxist history in particular. Is history a science is a question that has perplexed many who would call themselves Marxists. Marx and Engels argued it was. But those who perceive science as something that happens in laboratories find this difficult to agree with. Even some of the best historians on the left (such as E P Thompson) disagreed with the founders of scientific socialism on this point. 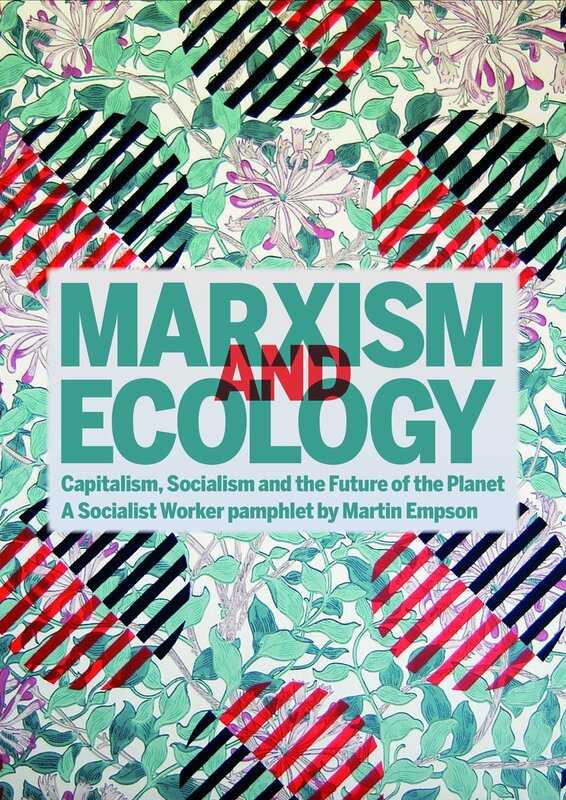 Perry shows how Marxist history as an approach does embody the essence of scientific research within the processes of research, the testing of hypothesises and the evaluation by peers. I mention E P Thompson, because one of the central aspects to this book is the approach of various historians from the Marxist left and the wider left. Thompson, Hobsbawm and Christopher Hill get detailed analysis, mostly because of their links to the wider left grouping around the Communist Party Historian's Group (1946-1956). This is particularly interesting because this was a really flowering of work and ideas, between members of the CP and much wider layers of writers and researchers. Perry notes that because of their links to the CP, some areas of historical study remained out of bounds (particularly Russian history) and the group collapsed in 1956 as disillusionment following the invasion by Russian forces of Hungary led to some of its mainstays leaving the CP. 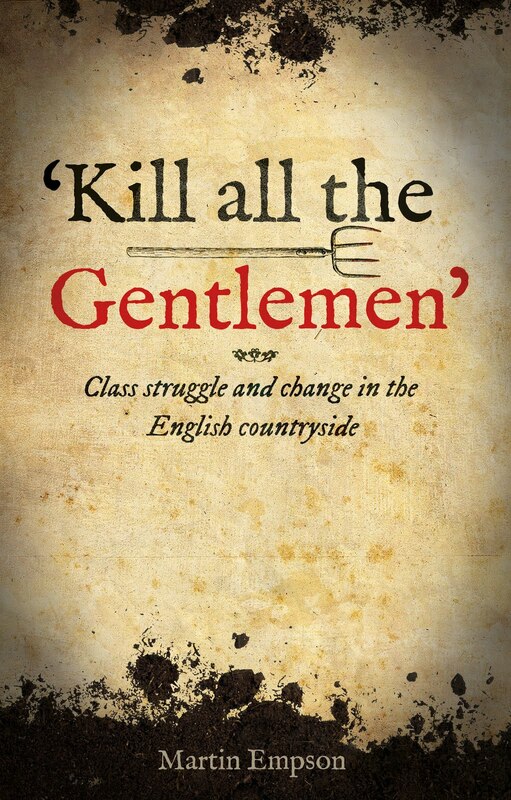 However the works of many writers that came from the group, laid the foundation for important approaches to history, perhaps best epitomised by Thompson's Making of the English Working Class. The historian's group had a wide impact around the world, but it is perhaps noted most here for its pioneering work around the English Revolution. Perry also looks at other historians. He starts with the explicitly historic writings of Marx and Engels, including chapters of Capital which are detailed historical accounts, even though there is a perception of it being a dry work of economics. The section on Engels' history of the German Peasant Wars is fascinating - Perry shows how his approach of linking ideological and political ideas as part of a social superstructure influenced, created and also impacting back on an economic base is Marxist history at its best. Perry also looks at what he considers a "historical masterpiece" - Leon Trotsky's monumental History of the Russian Revolution. I only have time to briefly note the mention here of "base and superstructure". This notion is a critical part of the debates around Marxism and history, and Perry shows how this metaphor of Marx's has been used and abused - or dismissed by many on the left. However he argues that it was a central plank of Marx and Engels' historical approach and puts across one of the most straightforward explanations for the ideas. For those interested in this discussion I recommend these chapters in Perry's book, as well as Chris Harman's essay on the subject. Finally Perry takes on the question of Postmodernism. Again his summary demolishes these attempts to argue that history has no meaning, or has stopped. Perry puts Postmodernism very much in the context of the post-World War II world. A point when capitalism, seemed to some as triumphant, and discussions about the "end of history" were about an ideological assault that would give the free-market free rein. Perry puts the case that idealistic approaches to history - that ideas are somehow independent of human society are not new, and that Marx himself critiqued this approach. Perry's defence of the Marxist approach to history is clear and useful, rooting it very much in the real world. Humans must interact with the world around them to provide the necessities of life, as well as constructing and creating a society based on particular economic constructions. However I liked particular a point he develops from the historian John Saville, he argues that many left-historians are linked themselves to attempts to shape the future and change the world through the political organisations, campaigns or trade unions that they are part of. This in itself he argues "allows insights into the historical process with which they themselves were wrestling". I liked this point as it helps demonstrate why some arguments or writings from the postmodernists seems so completely incomprehensible to the rest of us - they are cut off and removed from the real historical processes around them. Matt Perry's book deserves a wide readership, by students of history and writers of the subject. Its glossary is particularly useful, particularly if you have little or no experience of some of the more unusual academic phrases. I would have liked to read more by Perry on other historians - there are only passing references to Tony Cliff and I would have enjoyed Perry's thoughts on his historical work. But that's a minor criticism, I recommend this book to you. The British landscape is far from natural. Almost nothing that we see as our cars and trains cross the countryside is natural in a truely historic sense. Trees and hedges have been planted, farms and fields laid out. Roads planned and forests cleared. By arguing that the landscape around the islands of cities on the British Isles is not natural, Francis Pryor is following the lead of Oliver Rackham's interesting book The History of the Countryside, which I reviewed here. However, Francis Pryor takes this much further. While Rackham acknowledges the human actions that have created the countryside, Pryor puts human activity at the centre of the story. No mere list of plants, animals and types of forest or waterway for Pryor. Instead his archaeologist approach is to try and understand why and how our ancestors changed the natural world. Pryor doesn't deny the importance of other environmental changes, but argues that these are secondary to the influence of human beings. At the heart of much of Pryor's other books is a sense of continuity. This continuity between ancient life and more modern times occassionaly seems a bit laboured. But in the case of the countryside, Pryor shows how the world outside our windows is in many cases, truely ancient. We all learnt at school that modern roads often follow the routes of Roman Roads. But those Roman routes often took the same paths as far more ancient pathways. Trading routes of Bronze and Iron Age peoples. Similarly with the edges of agricultural areas, boundaries often stretch back far in time. The major transformation of the British Landscape took place thousands of years ago - with the clearance of the forests that spread following the last iceage. These were cleared as long ago as 3000 BCE. The ancients transformed the landscape. Even today the bumps and ditches can hide significant ancient activites. Pryor's story takes us through the changes of Roman times, though here again he is keen to stress that life for the majority of people on these Islands changed little, before and after the invasion. Continuity, particularly in rural life was the reality. Though the Roman's brought with them much, particularly tools and implements that had significant impacts of ancient life. Then we move onto the changes in Medieval times, in a particularly fascinating chapter Pryor takes us through the detailed agricultural evidence that demonstrates the planning that went into the creation of open field or stripping farming schemes in parts of Britain. Pryor is keen to argue against the notion of revolution. He doesn't appear to like the term, and clearly thinks that when it is applied to agriculture and industry it is particularly inappropriate. But I think he's mistaken. Revolutions are not the short, brief affairs beloved of some historians. They are long drawn out events that bring fundamental change, but aren't always obvious at the time. Take events in Egypt at the moment. The fall of Mubarak was merely the first stage in a much larger revolutionary story. It would be wrong to characterise agricultural revolutions as sudden events. Though changes could be sudden - imagine the impact of a new type of plough when it arrives in a village for the first time. But the introduction of open field systems or their enclosure later on, led to fundamental changes, not just in agriculture, but in terms of property relations, life in the cities and so on. These are revolutions in the truest sense of the word. That criticism aside, there is lots here of those whose interest are the changes that took place in Britain over the centuries. Because Pryor doesn't pretend that the landscape is only trees, fields and forests, he discusses such interesting topics as the impact of landscape gardening in country houses, the arrival of tourism in the Lake District or the planning of new towns in post World War II Britain. Once again Francis Pryor has written a fascinating work of history, that will inspire and excite everyone with an interest in social history, it deserves a wide readership. 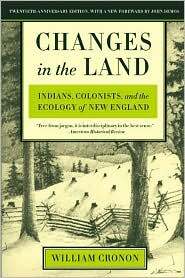 The basis to William Cronon's study of the impact of the arrival of colonists to New England is that the "replacement of Indians by predominately European populations in New England was as much an ecological as a cultural revolution". This is not to say that he downplays the other impacts. He is clearly aware that the destruction of the Native Americans and their way of life was a profound social transformation, but he locates the changes as having very much an ecological base, which is liked in very concrete ways to the political and social makeup of the European societies that the colonists arrived from. Cronon explains that contrary to the perception of the colonists and many writers since, the landscape of New England was in no way a pristine wilderness. The patchwork of woodland and open spaces was the consequence of centuries of human interaction with the natural world of New England. The particular hunting and farming combination that the nomadic people of this part of the world used to produce food and other resources throughout the year had created ecosystems that seemed to the new arrivals to overrun with valuable flora and fauna. I use the word valuable here by choice. It is very noticeable in the extensive quotes that Cronon uses, that the colonists viewed the natural world around them in terms of commodities. In fact this is a central theme for Cronon. The clash between this concept of nature as a commodity ripe for exploitation and something that is utilised for short terms needs of the humans around. The changes that the colonists made, particularly in terms of deforesting the woodland for fuel, sale to the European nations and for agriculture, rapidly undermined the basis for the huge variety of game etc. The Native Americans of New England (similarly to other areas of the pre-Colombian Americas). had a very different concept of ownership. People owned what they made with their hands, but there was no sense, or even need for the accumulation of further material goods. Land was considered to be owned by one tribe or the other, though perhaps under the influence is a better way of explaining this. But when the tribe moved on elsewhere, the land did not remain theirs by right. This contrasted with the Europeans who saw the ownership of land and its improvement through agricultural practices as a God given duty. There are some almost comic moments in the book when Cronon explains how male Native Americans were considered lazy, because they merely hunted whereas women, who mostly played the role of farmers were considered to be the hard workers. The tragedy of this, is because the colonists didn't see the use of the land that the Native Americans as real use in their terms, they didn't recognise any right to the land. So they took it. Cronon documents the absolute destruction of the native population of New England through diseases brought from Europe. The population fell from 70,000 to 12,000 in the first 75 years of the 17th century. Destruction on this level meant that the native usage of the land could not survive, in anything like the previous scale. Leaving even more opportunity for the seizing of land. Later in the book Cronon shows how the creation of the concept of trade, lead directly to the reorganisation of the economic life of the Native Americans. By introducing commodities that could be exchanged for materials like wampum or metal tools that the natives wanted, the whole basis of their economy changed. Suddenly leaders arrived, as did a dependence on the Europeans. Prestige could be obtained by owning particular items in a way that never made sense prior to the arrival of the colonists. The Europeans created a completely new forest ecology. In part they destroyed an older one, replacing it with one on their idealised model. Grasses and crops were introduced from Europe, mono-cultures and weeds destroyed the diverse ecology. They saw this as progress, but for the people who had lived there for hundreds of years, it was complete destruction. There was of course resistance, but against the heavily armed European arrivals, backed up by powerful economies abroad, their was no long hope. The tragedy of New England's people, replicated in countless communities across the Americas, is one that we can learn from. Not because we can return to the world that has vanished, but because we can learn that the modern ways of using the natural world have more to do with exploitation than sustainability, and that we need to think about moving away from an economy based on the commodification of everything, to one based on the needs of people and planet.